The Hollinger Golf Club will be the home of the annual NeORA 9-Hole Golf Tournament that kicks of the conference each year. 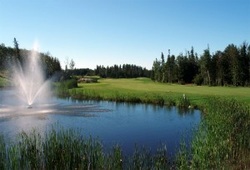 The Hollinger Golf Club is Northern Ontario’s only 18-hole Championship full bent grass golf course. The course was professionaly designed by architect John Robinson and constructed by the Glen Campbell Golf Course Design Company.